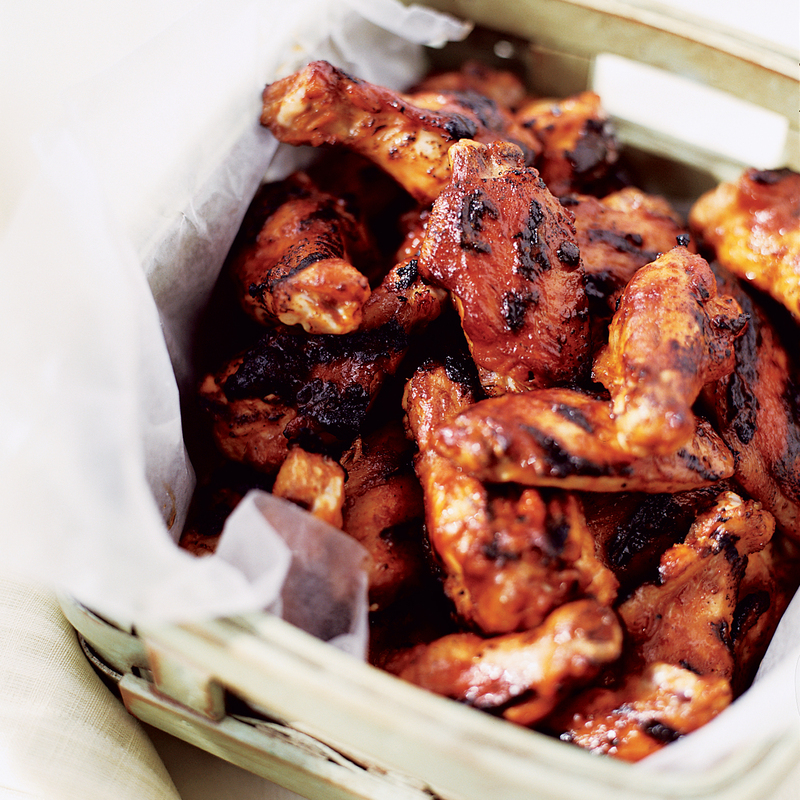 There’s nothing better than a crispy-on-the-outside, juicy-on-the-inside, hot-as-heck chicken wing. 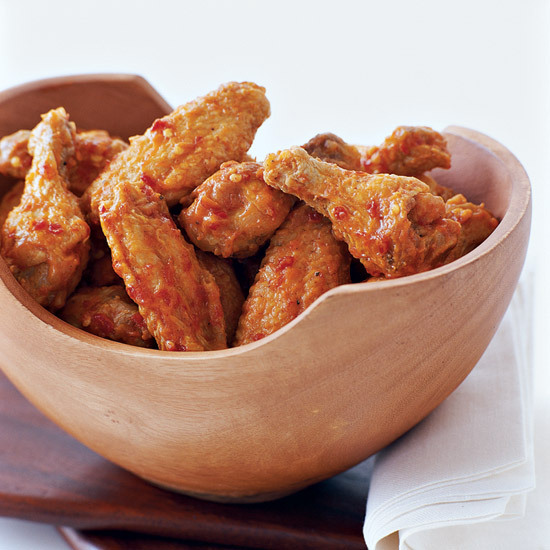 Whether fried in Sriracha or grilled with cayenne pepper, these spicy wings recipes are sure to set your mouth on fire. 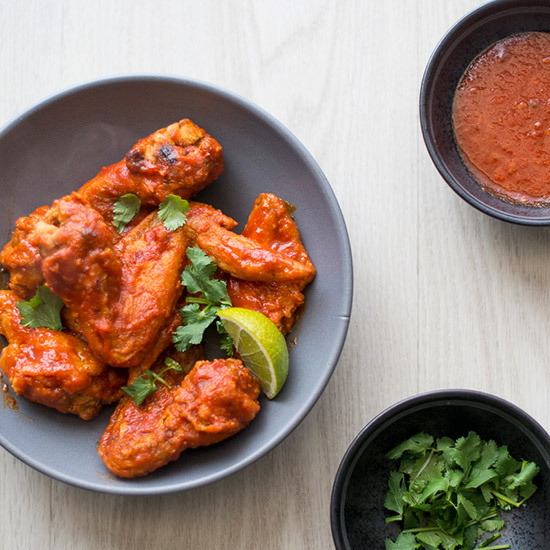 The San Francisco spot Wing Wings is, naturally, known for their wings. This version has a Korean-inspired spicy sauce that co-owner Lisa Shin also likes to use on other kinds of meat as well as a dip for crudité. 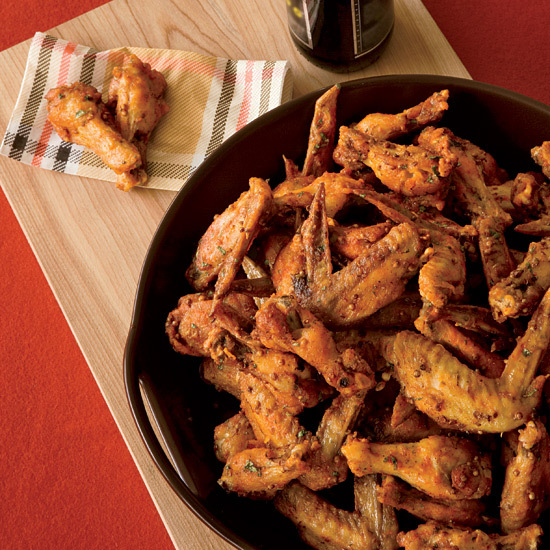 Michael Symon gets right to the heart of the matter with these Sriracha-fried wings. Serve with a side of the hot sauce for maximum Sriracha impact. 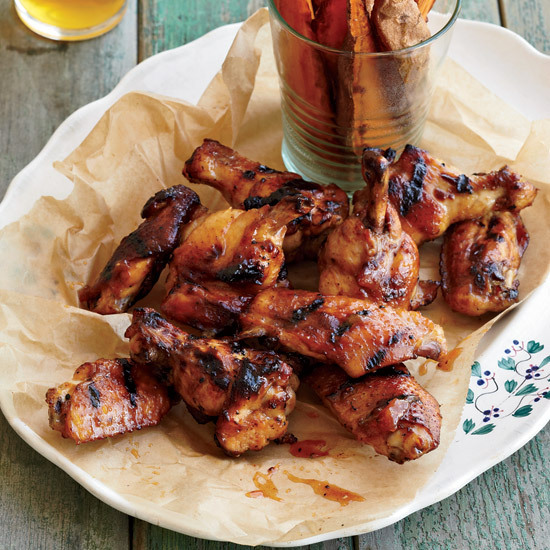 Chef Chris Lilly combines spicy with sweet in these apricot wings. But don’t worry. Between the cayenne pepper and paprika, there’s a lot of heat. 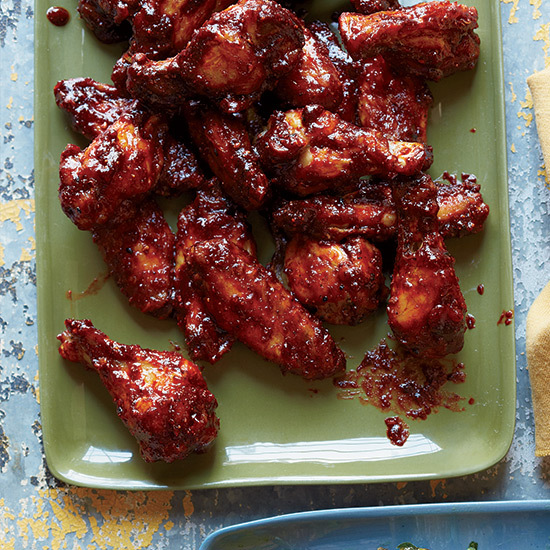 While Michael Symon’s Sriracha wings are full-on spice, these ones have a bit of sweetness to them — thanks to the addition of brown sugar in the sauce. 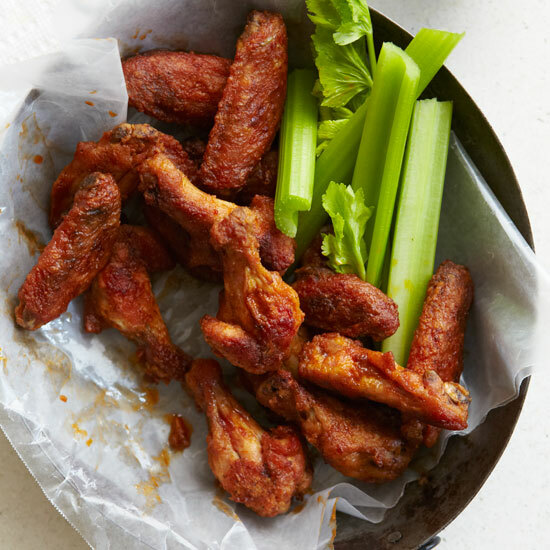 Todd Porter and Diane Cu, the couple behind the cookbook Bountiful, cover these wings in a mixture of chile-garlic sauce, tomato sauce, and soy sauce for a crazy umami flavor. The combination of hot sauce and jerk paste is sure to leave your belly wanting more...and your mouth wanting more water. 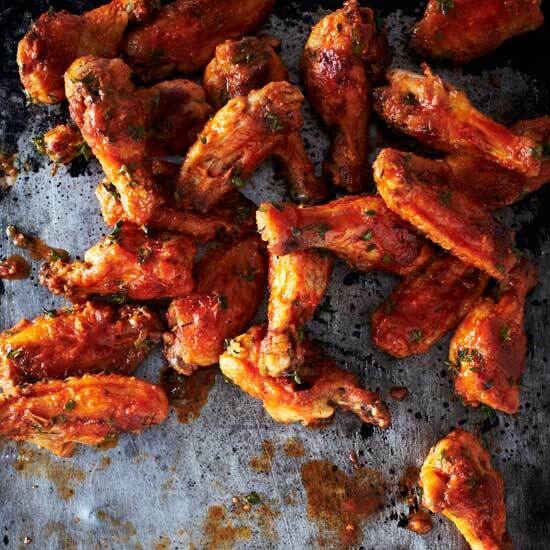 These wings are baked rather than fried, offering a healthier alternative to classic hot wings, and with the kick of Old Bay seasoning. 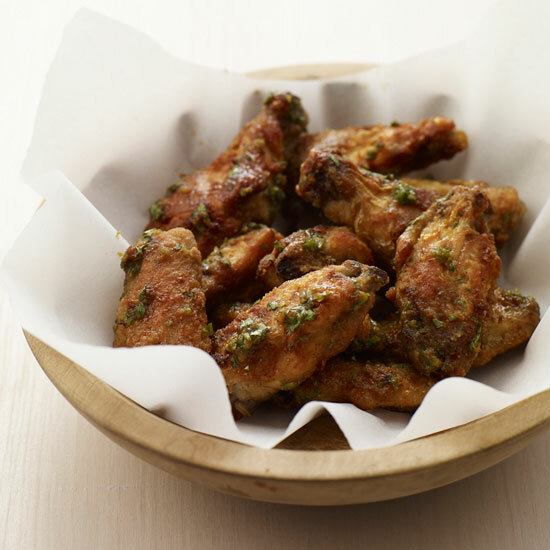 By utilizing ingredients like coriander and fish sauce, these chicken wings have a particularly unique taste. 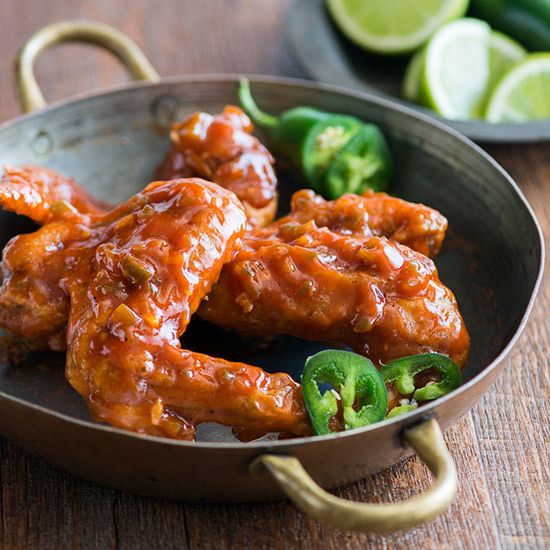 The pickled jalapeños give these wings an extra layer of spice and flavor. Barbecue champion Ray Lampe makes an incredibly simple wings rub using only five ingredients (all of which you likely already have in your pantry!). 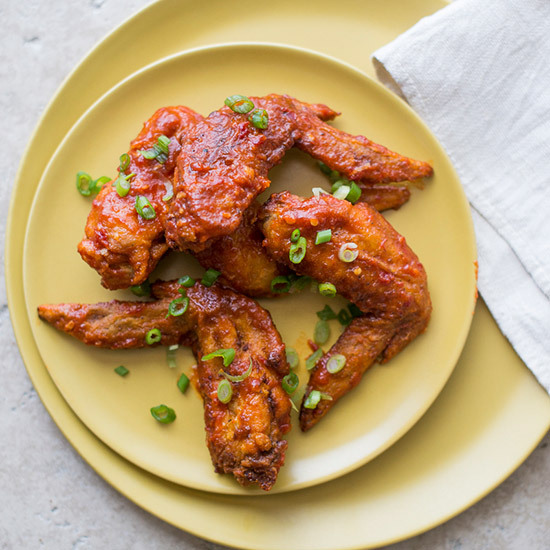 At their Brooklyn restaurant The Good Fork, husband-and-wife duo Ben Schneider and Sohui Kim serve these spicy, crispy wings.